Via a new movie and book. Shugden vs the Dalai Lamas, or more accurately, NKT vs the Dalai Lamas, riding on NKT's commercialized version of a feared Tibetan ghost. NKT's political mission is to disparage Tibetan history and Tibetan reverence for its leaders for hundreds of years. The consequence, fierce public messages tarnishing Buddhism, its ideals of compassion and kindness, and its quest to relieve suffering. For NKT, there seems not to be enough suffering in the world, and thus it manufactures and markets more. "The dedicated team consists of five people and together we represent quite some expertise. Students of film and visual design, a professional photographer, a monk, known for his knowledge on the subject and a professional sound designer, not to forget helpers and friends, translators and organization talents. We are all very happy to be part of this exceptional project and with your help we will definitely have a wonderful result. We will travel to Tibet and surrounding countries, visit historically relevant sites and talk to its followers and masters all over the world. Important for us is to show the practice as integrated part of a living Buddhist tradition without going into the recent controversy. We will have a rather scientific and objective approach, understandable for everybody. To see how Dorje Shugden practitioners realize their protector practice in their day to day life offers a different way of perception. In the recent years the reputation of holy masters such as Kyabje Phabonka Rinpoche and Kyabje Trijang Rin- poche suffered immense damage due to the political activities of others. By sponsoring this movie you can contribute to revive the glory of these great names." About its upcoming book, NKT is increasingly releasing its contents on the Internet. The book is entitled 'A Great Deception' and is due January 2010. A poignant title, because NKT is promulgating a great deception. According to NKT, hundreds of books, thousands of academic treatises, tens of thousands of newspaper, magazine and television reports about the Dalai Lama are wrong. So are all governments but China around the world wrong in their respect for the Dalai Lama. According to NKT, India is guilty of criminal conduct in its acceptance of the Dalai Lama in its nation. "The explanations given in this book are to encourage people not to follow or be influenced by 'Lama Policy', which like a drug causes people to be confused about the real nature of Buddhist practice. In this context, 'Lama' refers to the Fifth, Thirteenth and Fourteenth Dalai Lamas of Tibet. The policy of these lamas has been to use religion for political aims, thus causing suffering to millions of people from generation to generation. There then follows an explanation of how the Fifth Dalai Lama achieved his political power with the support of the Mongols by waging war against the King of Tibet. In Tibetan society, anyone who has views and intentions that are different from those of the Dalai Lama is immediately accused of not being Tibetan; they are criticised, threatened and ostracised. This happened in the past and is happening to Dorje Shugden practitioners today. From this alone we can see that this Lama Policy continues to have a devastating effect on society. The Fifth Dalai Lama was the founder of Lama Policy which he called 'the union of religion and politics'. 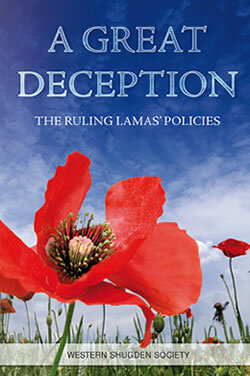 The nature of Lama Policy is deceptive; its function is only to mislead people and to use religion for political aims. It is like a rainbow, which from the distance looks beautiful but upon closer examination is seen to be completely empty and hollow. The lamas who have principally upheld the policy established by the Fifth Dalai Lama are the Thirteenth and Fourteenth Dalai Lamas, and of these two the policy of the present Dalai Lama is the worst. The chapter continues with a discussion of the murder of Lama Ngatrul Dragpa Gyaltsen (who was opposed to Lama Policy) by the Fifth Dalai Lama and his ministers out of jealousy and fear, and Ngatrul Gyaltsen's subsequent incarnation as Dorje Shugden. It is revealed that his (the current Dalai Lama) real intention in banning Dorje Shugden is to weaken the Gelugpa tradition so that he can become the supreme head of Tibetan Buddhism. What the present Dalai Lama really wants is to become the leader of all traditions of Tibetan Buddhism by making all the practitioners of these traditions throughout the world follow only one tradition that he has newly created. Doing this would naturally destroy the pure lineage and blessings of the Nyingma, Sakya, Kagyu and Gelug traditions. This would be a very great loss to the world, when people more than ever need access to the Buddha's supreme methods of finding true peace and happiness, and it is for this reason that the Western Shugden Society is encouraging people to stop being deceived by the drug of Lama Policy. How ironic it is that the Dalai Lama is whipping up hysteria around the supposed sectarian dangers of Dorje Shugden practice when, in actuality, it is his personal ambition for power that is the biggest threat to the continued existence of the four traditions of Tibetan Buddhism. It's like putting a wolf in charge of the sheep. Since 1996, this false Dalai Lama has unceasingly inflicted heavy and unjust punishment on Dorje Shugden practitioners – all of whom are completely innocent of any crime or misdemeanour. Using his people like an army, the Dalai Lama has destroyed many Shugden temples and shrines, caused millions of people to experience inhumane situations and unbearable feelings of pain, and expelled all Shugden practitioners from the Tibetan community. He has caused innocent people to become severed from their families, friends, monasteries and communities. Thousands of Shugden practitioners have been forced into refugee status for the second time in their life, as they try to escape the inhumane treatment by seeking exile in other countries. The false Dalai Lama is clearly breaking the law by inflicting such blatant religious persecution. Becoming aware of the international public horror at these recent violations, which clearly stem from the single-minded policy of the Dalai Lama alone, the Tibetan Prime Minister and other officials within the exile Tibetan government then started a campaign to distance the Dalai Lama from this referendum, and from the resulting inhumane victimisation of a whole section of the Tibetan community. Such official deception, hypocrisy and duplicity is truly astounding. One only needs to hear the speeches of the Dalai Lama and to witness current events within the Tibetan community to understand the truth. It should be clear to the international public, and to world leaders, governments and other organisations that it is the false Dalai Lama himself and no one else who solely initiated and who solely maintains the prevalent discrimination, persecution and intolerance within Tibetan society today. The Tibetan government is the Dalai Lama, and the Dalai Lama is the Tibetan government. Behind the trappings of government with its illusion of democracy, the Dalai Lama’s position, with its central tenet, ‘L’etat, c’est moi’ (‘I am the State’), extends its domain of authority over all aspects of policy and decision-making. There is no decision of government that is not the Dalai Lama’s decision. In December 1989 the Fourteenth Dalai Lama was awarded the Nobel Peace Prize. Having been awarded to terrorists and war makers before, the Nobel Peace Prize is no stranger to controversy – even Hitler, Mussolini and Stalin are among previous nominees for the prize! The Nobel Peace Prize is considered by some to be the easiest Nobel Prize to win because no actual achievement needs to be demonstrated. What the Dalai Lama has clearly achieved, though, is to deceive the world utterly as to his real nature and intentions. By awarding him the Peace Prize the Nobel Committee has helped him to continue to dupe the world. 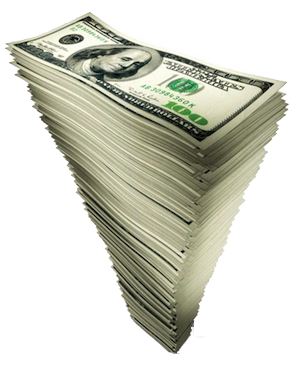 The amount of money raised for the Tibetan causes over the last few decades – which most contributors in the West have been led to believe is for a free Tibet – probably runs into hundreds of millions, in not billions of dollars. If these funds are not being used for a free, independent Tibet (because the Dalai Lama stopped aiming for a this as early as the 1980s), then what is this money being collected for? Tibet, as a brand, works particularly well. It brings in millions, and Hollywood A-listers queue to endorse it. What’s more, they do it for free. Creative director and brand chief executive, the Dalai Lama, will visit Australia again next week. He will preside over a five-day Tibetan prayer instruction course in Sydney. A company has been set up to handle the visit – Dalai Lama in Australia Limited. Tickets for the event can be bought online even from The Age’s own Box Office website along with tickets for Bjorn Again and The Pink Floyd Experience. But few are as expensive as the Dalai Lama experience, with tickets ranging from $800 for front seats to $450 for seats at the back. Tickets for good seats for the Sunday session alone are $248. Lunch is extra – between $18 and $27 for a pre-ordered lunch box. A clothing range has even been created. There are polo shirts, baseball caps – even men’s muscle tees emblazoned with the endless Buddhist knot. From street chic to urban cool, baby, this monk has funk. Saving Tibet, like Saving Private Ryan, is a good earner. Everyone’s into it, even China. Back in April, a factory in China’s Guangdong province was exposed as one of the manufacturers of the Free Tibet flags so prominent in the anti-Olympic torch protests in Britain, France and the US. The factory workers claimed they had no idea what the colourful flags represented. Blame China’s state-controlled media for that. In 1964, the government-in-exile of the Dalai Lama wanted to introduce social, economic and religious reforms to the recently evicted Tibetans. Gyalo Thondrub, the Dalai Lama’s audacious brother, decided that the best answer to Mao’s invasion and destruction of their country was to adapt Tibet and Tibetan policy in exile to the new Communist realities. He boldly proposed to abolish the old Buddhist schools, to do away with the rich, religious show, and thus bring the high lamas to the ground. “No more thrones, rituals, or gold brocades,” he was rumoured to have uttered. The spiritual hierarchies of the Nyingma, Kagyu, Sakya and the corollary sub-orders fell victim to slander and reproach. His words struck fear into the lamas’ hearts. As more details of the elaborate plan began to emerge, it became clear that a coup against three of the schools was being hatched. The new religious body that would replace the traditional lineages was to be controlled by the Gelugpa hierarchy. When in 1976, Gungthang Tsultrim, the political head of the alliance, was murdered and the assassin confessed to operate on orders from the Tibetan cabinet. Hired for the job, he was paid rupees three hundred thousand by the Tibetan government-in-exile in Dharamsala. The Tibetan government-in-exile had also offered him more money for eliminating the 16th Karmapa, he confessed." The rest of NKT's upcoming book promises a great deal of deception, and more revelations about the content of NKT's character. Will anyone be able to read and watch NKT's new rampage without seeing NKT's politics and business quest? Is there any remaining doubt about Kelsang Gyatso's mission revealed in these emails? You directly told me that the NKT was involving in political activities and that this was against the NKT and Dharma Centre constitutions. You have received a copy of the letter sent to Sera Lachi, Sera Je and Sera Mey by The Western Shugden Society. From this you can understand that it is very possible that The Western Shugden Society will organise demonstrations against the Dalai Lama. We should recognise that the NKT is not involved politically, simply supporting The Western Shugden Society with these demonstrations. Peaceful demonstrations are respected by democratic governments, it is the position of the people, we should take this opportunity, there is no other method to stop the Dalai Lama´s campaign against Dorje Shugden practitioners. 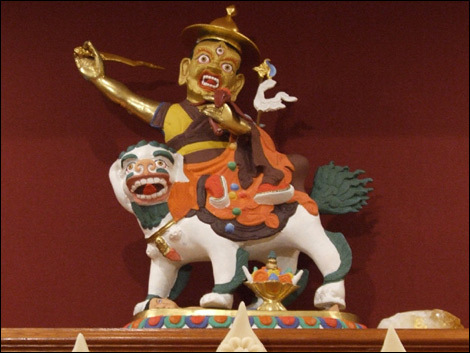 I need help from you to solve the Dorje Shugden problem created by the Dalai Lama. To stop this evil action, as the representative of the Western Shugden Society, I personally will organise demonstrations against the Dalai Lama directly. I requested Kelsang Pema and Kelsang Thubchen to do this job for me and they have accepted. Since whatever any Dalai Lama does has no bearing on NKT, any action by NKT against the Dalai Lamas is clearly poliical. Is there any remaining doubt about NKT's mission as revealed in these photographs? We are often asked about the status of Lucy James and her boyfriend, Nick Gillespie, who also is no longer a resident teacher in NKT.